Indian wild harvested organic lotus seeds. Hand knotted. A japa mala or mala is the Sanskrit word for a garland. 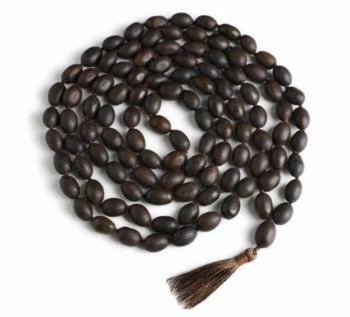 Commonly used by Hindus and Buddhists for keeping count whilst chanting or meditating on mantras. Lotus seeds have deep cultural significance, the lotus above water being a universal symbol for transcendence. A wonderful energy for meditation, yoga or simply wearing!